The guide is especially useful for those who might be new to these activities. Complex or specialist terms, which might be new to some people, are explained clearly. It includes sections on child protection, parental responsibility, the nature of clubs, awards and qualifications and the role of the BMC. The booklet is useful for children and parents as well as anyone who takes under-18s climbing, hill walking and mountaineering with parental consent. 1. FREE as a pdf document that you may freely view, download, print-off, or link to. Download here. 2. As a printed booklet. 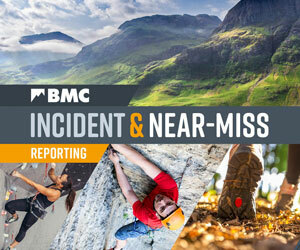 This format is available from the BMC online shop or telephone 0161 445 6111 and ask for the shop.